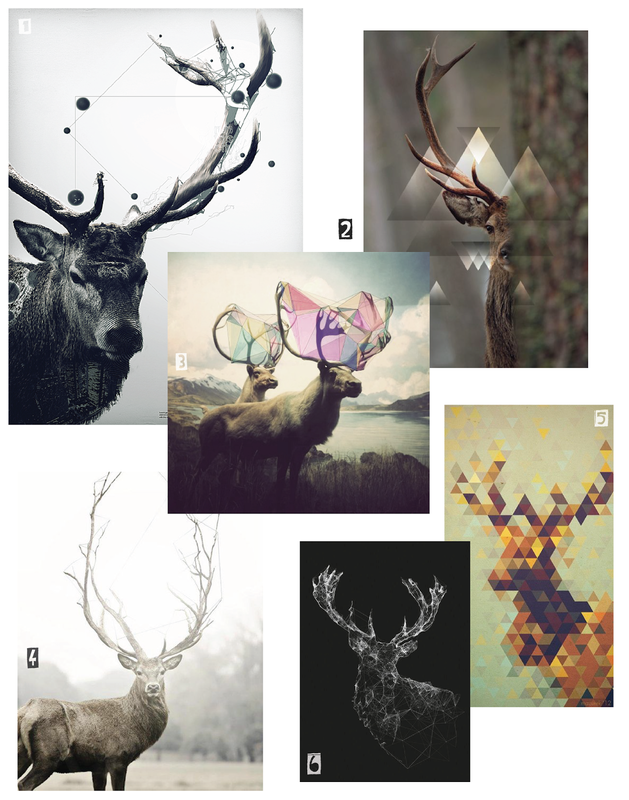 I can't help but noticing deers are everywhere at the moment, in many forms and guises. I've collected a few of my favourites above. I love the way the photo imagery is combined with spidery geometrics, to create these beautiful and intriguing images, that fit in well with the mood of the changing seasons. 1. Avantgarde - By Belgian graphic designer Maxime Quoilin, can be seen here. 2. Can be found here. 3. Random anonymous pin from pinterest, can be seen here. 4. Hold my bones together - By a Gentle Woman, can be seen here. 5. - By Gorev Seni Cagiriyor, can be seen here. 6. Deer Reader - By Jordan Rogers, can be found here.